EDI 810, is an electronic version of a paper invoice. It typically contains invoice details – invoice number and date, product details – item number and quantity. It also contains the shipping details, payment details like rate and discounts and payer details (customer code). An EDI 810 is usually sent out in response to the Purchase Order (EDI 850) or after the order is fulfilled and an Advance Shipping Notice (EDI 856) is sent out. EDI 816, an electronic version of the Organizational Relationships document, is used to provide the location information of a company, its related entities, and their corresponding code reference. It also depicts the organizational relationship between the different entities e.g. by service or operation, distribution centres, product return centre or service centres, or member and parent relationship. EDI 824, an electronic version of Application Advice, checks the integrity of the data. It states the status of a previous transaction as to whether it was accepted, rejected or accepted with changes. Thereby, the sender of the transaction can be wary of any errors in their next transmission. EDI 850, an electronic version of Purchase Order, is used for requesting goods. It contains information such as the details of shipping, product names, prices corresponding to each item and the number of quantities required along with the terms of payment. EDI 856, an electronic version of Advance Shipping Notice, specifies the contents of the shipment that is about to reach the trading partner’s facility. ASN notifies the trading partner about the barcode information, tracking details, date of delivery, and time of shipment. EDI 860, an electronic version of Purchase Order Change, is used for making changes in the Purchase Order before the supplier ships the items. The changes may include changes in items, quantity, price, and delivery date. EDI, an electronic version of a Text Message. The EDI 864 facilitates the exchange of one time messages such as notifications, contract information, etc. They are intended to be human-readable messages rather than being processed by computers. The EDI 940, an electronic version of Warehouse Shipping Order, is used to instruct a remote warehouse to ship the necessary goods to the buyer which is usually the retailer. It contains information such as the number of goods, shipment information and manufacturer details. It also specifies the date of shipment, the time taken for delivery and item specifications. The 940 also finds use in canceling and modifying an order. EDI 945, an electronic version of Warehouse Shipping Advice, is sent out by third-party warehouses to the supplier. It states that the items requested by the buyer have been shipped to them. It contains the date of shipment, the time taken to deliver the items, quantity, and specification of the items shipped. The EDI 945 is sent in response to an EDI 940. 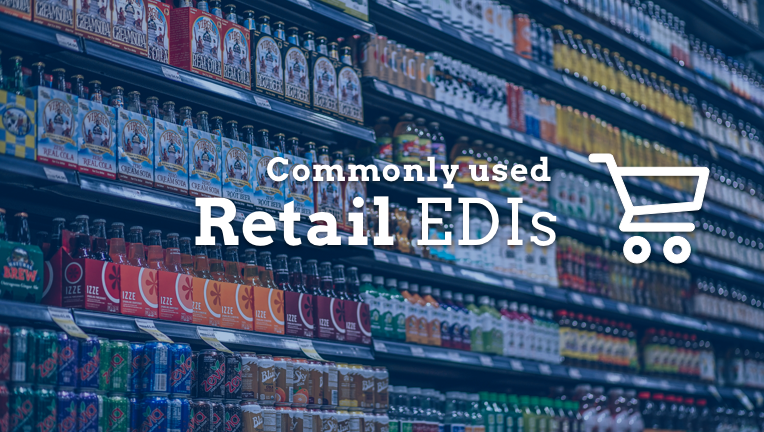 The EDI 997, an electronic version of Functional Acknowledgement, is sent as a response to every EDI transaction document that has been received. Its purpose is to indicate whether the transacted document has been received and translated successfully. It does not, however, state whether the information received in the transacted documents is accurate or sufficient. The EDI 944, an electronic version of Warehouse Stock Transfer Receipt Advice, is used to inform the supplier that their shipment has been received and verified. This EDI document contains information such as supplier details, Warehouse location, time and date of receiving the shipment etc. Reach out to the author of this blog at hello@byteally.com, and feel free to mail your comments or suggestions.